LANAP does not require the use of a scalpel or sutures. This minimally invasive procedure results in little recession and pain for the patient. 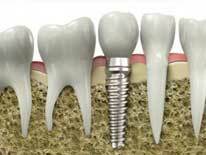 Dental implants can improve your oral health, allowing you to eat, speak, and live normally! If you suffer from sensitivity to hot or cold or if too much of your tooth root shows, we can fix your gum recession. Wake up to a new smile! We offer sedation to ensure your comfort during your dental procedure. Implants allow you to enjoy eating, speaking and living again without messy denture pastes or creams! Don't be afraid of dental care any longer! 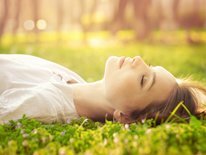 We offer sedation options so you can relax in comfort. Ask us about our association with Smile Source! Periodontists are dentists with three years of extended training beyond dental school, preparing them in treating gum disease or periodontal disease and placing dental implants. As periodontists, the doctors at Nashville Periodontal Group specialize in prevention, diagnosis and treatment of periodontal disease; they are also experts in the treatment of oral inflammation. The educated dental staff is highly trained to handle all types of dental situations. Everyone at our office aims to provide patients with a friendly, relaxing environment. Our office hosts some of the most recent dental technology and provides patients with current research on many periodontal subjects such as laser gum treatment. Excelling in laser dental surgery, the Nashville Periodontal Group is part of the one percent of dental professionals in the country trained in LANAP. The Laser Assisted New Attachment Procedure (LANAP) is the only form of laser dental surgery cleared by the FDA. 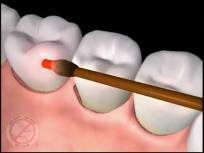 It treats gum disease by removing diseased tissue while leaving healthy tissue intact. This minimally invasive laser treatment is such a successful periodontal treatment because it stimulates bone growth, helping patients keep their teeth. LANAP® is the only laser treatment supported by scientific research and patient histological studies. Specializing in periodontal disease, the doctors at Nashville Periodontal Group aim to educate patients about their gums. Proper dental hygiene and frequent dental visits can help patients prevent infected gums. There are many health risks related to gum disease such as heart disease, diabetes, low birth weight, pancreatic cancer and stroke. It has been estimated that 75 percent of Americans have some form of gum disease. Knowing how to care for your gums is essential in preventing the onset of gum disease. To learn more about preserving healthy gums, click here.